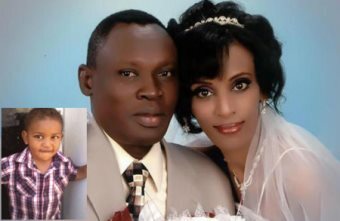 AFRICANGLOBE – A Sudanese woman freed from death row on Monday has been arrested with her family at Khartoum airport, sources have revealed. Meriam Ibrahim was sentenced to hang in May for renouncing Islam, sparking widespread outrage at home and abroad. About 40 security agents detained Mrs Ibrahim – along with her husband, Daniel Wani and two children – at the airport, the sources said. On Monday, Mr Wani said the family intended to leave for the US. Mrs Ibrahim was released from prison after an appeal court annulled the death sentence imposed on her. She was arrested in February, and gave birth to a daughter in prison not long after being sentenced. The family has been taken to the headquarters of one of Sudan’s security agencies, the sources said. Before she was rearrested, Western countries had welcomed the decision to rescind the death penalty. Previous articleLagos, Nigeria: Africa’s Big Apple?